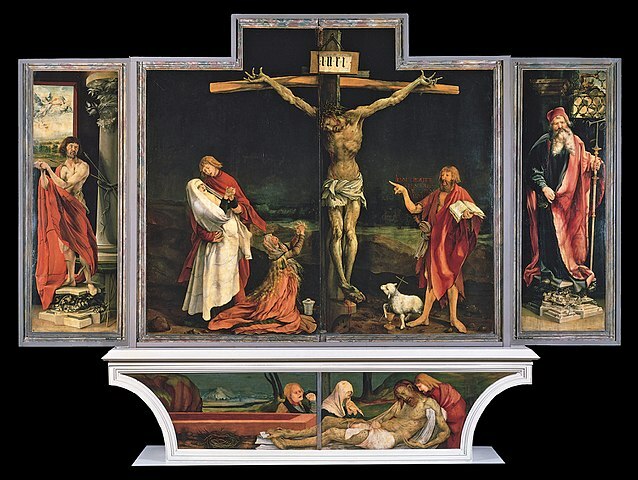 At the time of its creation, the Isenheim altarpiece was one of the most impressive pieces of its kind ever produced. 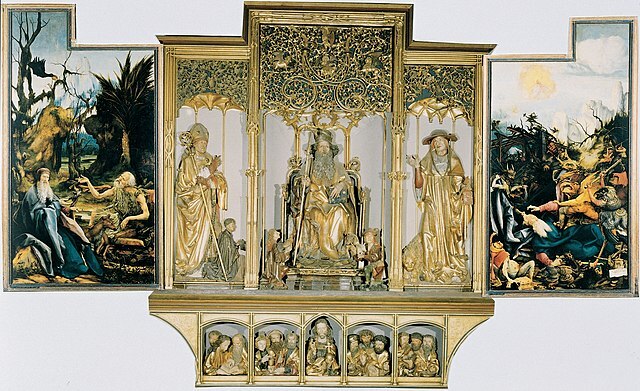 Made up of a central section and two moveable wings, the work has nine separate sections, on display depending on whether the moveable wings are opened or closed. 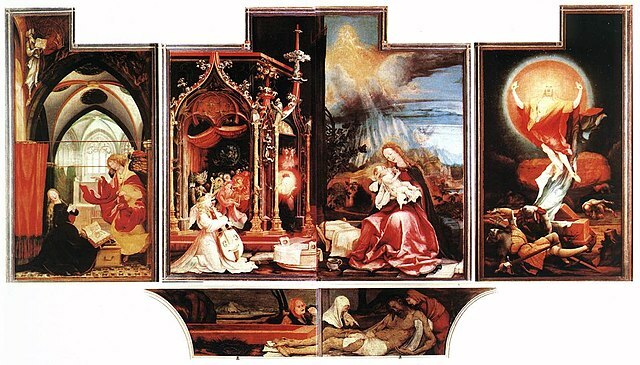 It depicts many scenes in the life of Jesus.